Roger was a feral feline who made peace with living in his human's home... He enjoys indoor heating and regular meals. 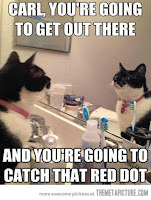 He only rarely becomes vexed by the elusive red dot and he considers his human's lavish attention a bonus. Wow. 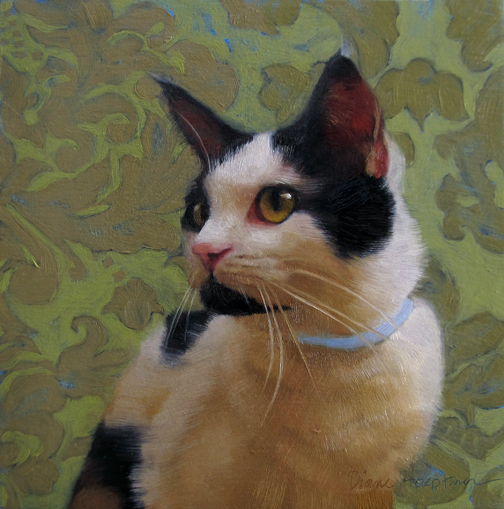 Beautiful colors, brushwork, cat! Wow! Fantastic painting!! 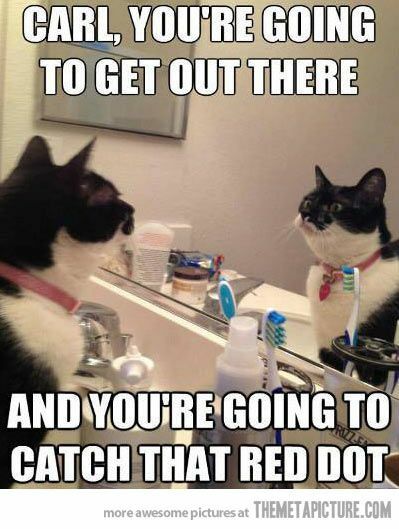 And I hope both Roger and Carl catch their red dots today!!! Be still my heart! This is just beautiful! If I call Roger, maybe he'll just walk out of the painting and into my arms. Your observations and ability to convey what you see and lovingly feel is always uncanny, Diane. You are such an amazing advocate for shelter cats, feral cats, domestic cats and you are a beacon for those of us who cherish cats. Your ability to capture felines' endearing gestures and details is always astounding. Lovely painting, AS usual! This is a beautiful painting. I have some feral cats that can't really decide if they really are feral.